We welcome all pre-school age children throughout the area into our safe and welcoming environment. We aim to provide the very best service for your child and pride ourselves on our solid reputation and reliable teachers. 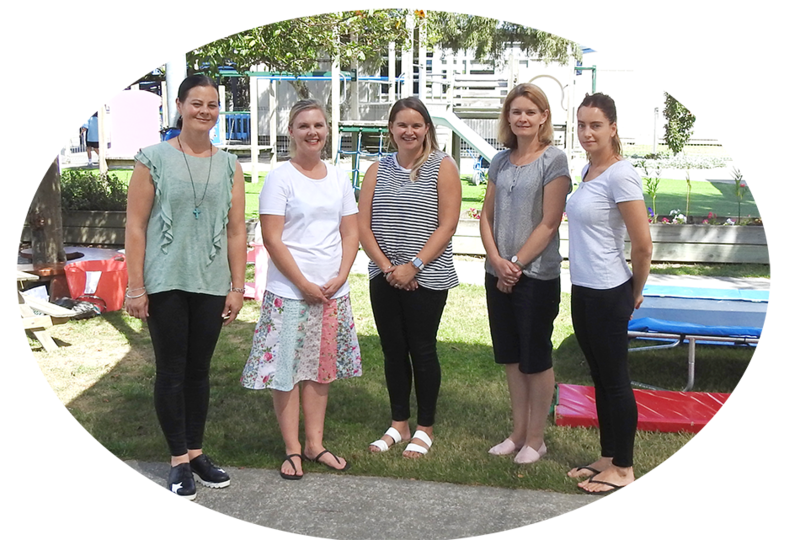 We have created a happy and respectful environment for children of all cultures so they can experience a sense of belonging and understanding of their bicultural heritage of New Zealand. We encourage and support your child to extend their learning ​utilising our fantastic resources and facilities, including our popular adventure playground! We have a variety of activities on offer - all of which are setup to help educate and inspire your children so they can become confident learners and increase their skill sets. We are traditional in many ways, allowing your child to benefit from a consistent, balanced programme that provides both planned learning experiences and free play. We encourage and empower children to confidently develop new interests. We encourage independence and self-management skills so that your child is well prepared for any school they may go onto. Check out our latest review from the Education Review Office! The ERO reports provide information for parents and communities about each service’s strengths and next steps for development. Our last review took place in September 2015 and is available for you to view via the ERO website. "Children actively participate in planned and spontaneous experiences. Their literacy and mathematical skill development is an integral part of the programme. Children are articulate and confident." "Respectful, reciprocal and warm relationships exist between parents and teachers. Families have opportunities to contribute to their children’s learning assessments and preschool events. They demonstrate that they feel comfortable and welcome at the preschool. Many stay to participate alongside their child at the start of the day." "Teachers extend children’s language and thinking using a range of appropriate teaching strategies. Adults are gentle and caring. The atmosphere is calm and purposeful. Children are happy and settled." "Transitions into the preschool are well considered and nurture children’s sense of belonging and wellbeing. Partnerships between the centre and schools, in particular Hadlow Preparatory, and parents, promote successful and seamless transition for children and their families." Hadlow Pre-School is one of the Trinity family of schools comprising Hadlow Pre-School, Hadlow Preparatory School, Rathkeale College and St Matthew's Collegiate School.